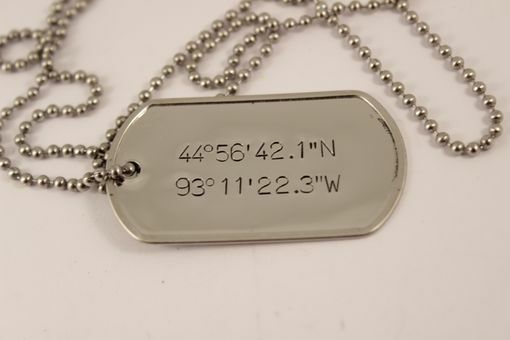 - The dog tag (excluding hardware) is 1" x 2"
- The dogtag, keyrings, and chains are all stainless steel. - Available with a standard size keyring, a 27" ball chain, or a 4" ball chain. - Character Limit: about 30 characters / spaces. More may be able to fit if a different font is used or depending on word length. - Only one side of this can be stamped. - If a font is not offered as a selection when you order, it is not recommended for this item. 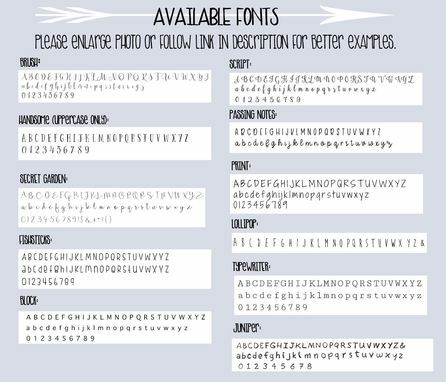 - If you require multiple fonts, please specify that when you enter your text. - The item will be shipped ready to give, tucked inside a cute drawstring bag. - Whenever possible, we source our supplies from other small businesses and recycle / reuse packaging materials to help reduce our environmental impact. We recycle all waste/scrap metal. At checkout, please choose the style & font from the drop down menus. 1. Requested text for item. Please pay special attention to letter case, as if the words are typed in all lowercase, I will stamp them all lowercase. 2. Any special requests (eg. Different placement/orientation, additional symbol stamps, etc.) Please be as specific as possible if you want anything placed a certain way. Otherwise I will create the item in the way I feel would be the most aesthetic. If you require multiple fonts, please specify that when you enter your text. 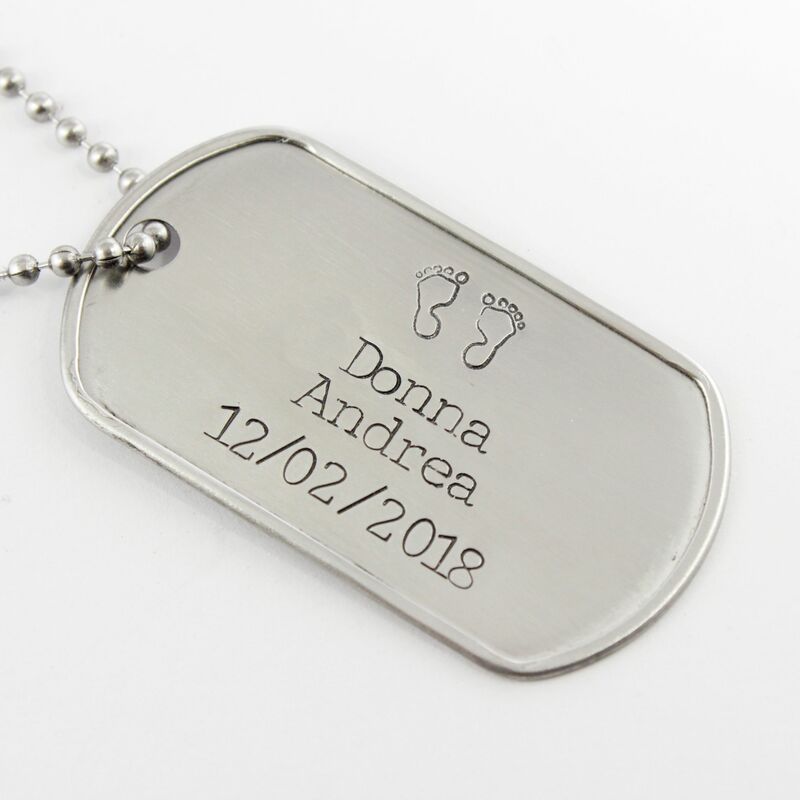 I was very happy with my product - it was made exactly how I wanted! And it didn't take too long at all, very timely. It wasn't overly expensive and I love the homemade look. Thank you so much!! Thank you! Both dog tags Tribbles and Forgiven are going to thrill on Christmas day!